The holiday hiatus is over! 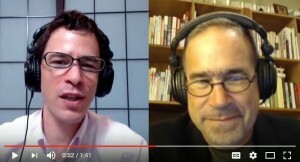 In a short video today, Chris Garlock and Michael Redmond 9P confirmed that they’re resuming the popular weekly series of AlphaGo game reviews on the AGA’s YouTube channel. The duo update viewers on their plans for the video commentaries, as well as their ongoing AlphaGo book project. The new series starts this Friday with a Redmond Review of a recent tournament game by Redmond, and the AlphaGo videos resume next week. 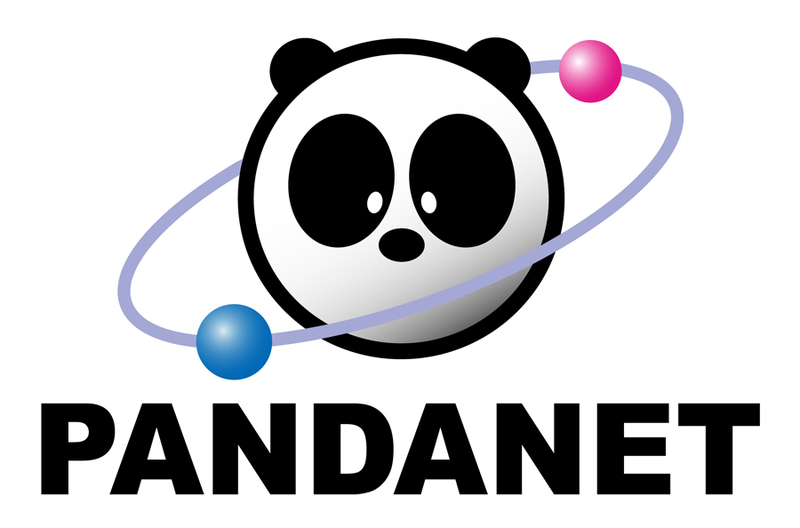 This weekend is the second round of the Pandanet AGA City League. Watch some of your favorite young pros and many of the strongest players in the US and Canada. Check the schedule to see your favorite team’s matchups! This Sunday LIVE at 3PM, AGA City League and AGA City League (Manual) rooms. 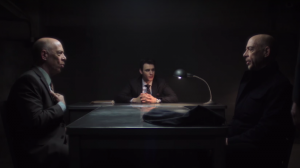 An espionage, sci-fi thriller with a metaphysical twist, “Counterpart” tells the story of Howard Silk (J.K. Simmons), a lowly cog in a bureaucratic UN agency who is turning the last corner of a life filled with regret, when he discovers the agency he works for is guarding a secret: a crossing to a parallel dimension. Through Howard and his “counterpart” on the other side, the show navigates themes of identity, idealism, what ifs, and lost love. Check out a trailer here. “Counterpart” premieres on Starz on January 21. 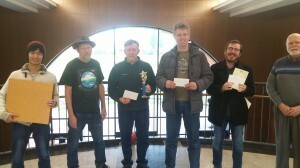 Gordon Marsh 1-dan won last weekend’s Portland Tournament, sweeping all five games. 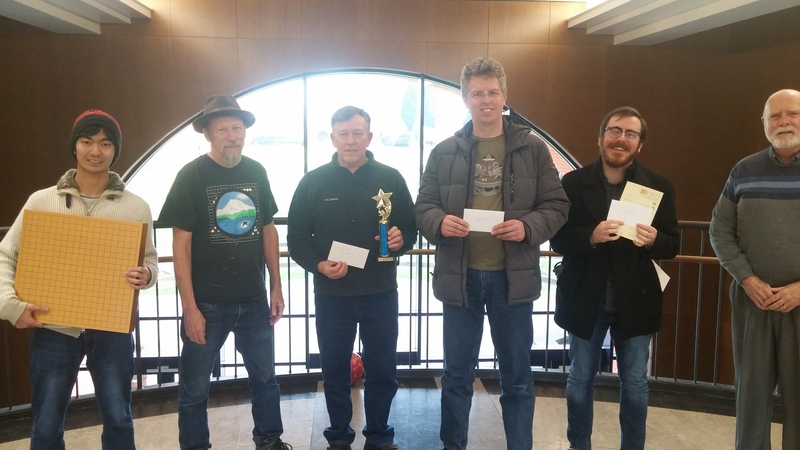 Twenty-one players ranging from 6- dan to 13-kyu participated in the event, held at the University of Portland, Oregon on January 13th and 14th, reports TD Roy Schmidt. Three players tied for second place with 4-1 records: Jim Levenick 2d, Peter Drake 5k and Noah Balena-Doss 1. 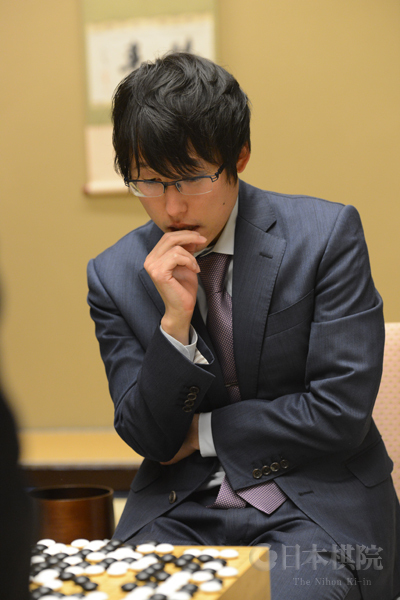 Masaya Kittaka 1k picked up a special goban prize for best performance by a newcomer. photo (l-r): Kittaka, Levenick, Marsh, Drake, Balena-Doss, and TD Roy Schmidt. The advent of AlphaGo has inspired…well, many things. 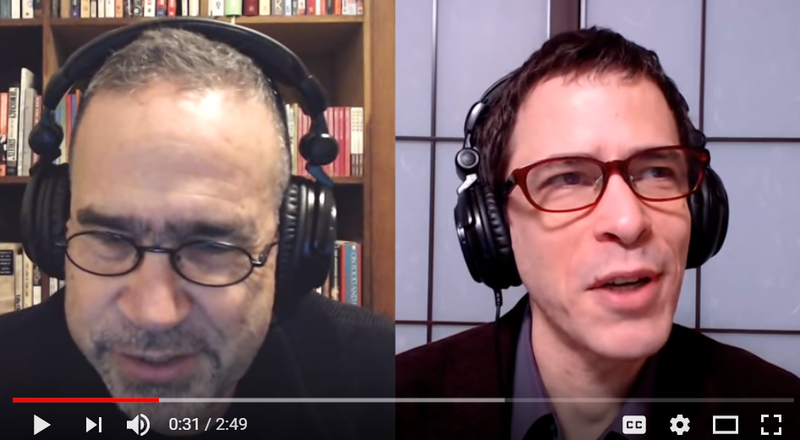 Chief among them, of course, is self-reflection among serious go players: What is it like to be superseded by artificial intelligence? Conversely, what can AlphaGo teach us about being human? Google’s AI inspired a movie, a belief that future health care will be better, endless cartoons and the belief that soon Al will be able to create knowledge itself. But music? It seems so. The Shanghai Restoration Project (SRP), a contemporary electronic music duo of Dave Liang and Sun Yunfan, recently dropped their new album R.U.R., with a single entitled “Alpha Go.” The group tells the E-Journal that R.U.R. explores a world in where robots have supplanted the extinct human civilization that predated them. ‘Alpha Go,’ the musicians say, is both “a tribute and an elegy” to Ke Jie’s defeat by the Google AI; it mixes in human elements with decidedly artificial ones. The tune is an airy, abstract melody. It’s evenly paced but turns on a dime, delivered by Yunfan ‘s vocals, which are digitally manipulated. Both musicians played go growing up, with Ms. Sun playing briefly for her school team. The cover art for the album is currently on display at NYC’s Society Of Illustrators until Jan 27 as part of the Illustrators 60 exhibition. “Alpha Go” can be listened to on YouTube or the SRP website. For those making 2018 go travel plans, our friends Down Under have just launched the 2018 Australian Go Congress website and Facebook page. The Congress will be held at the University of Sydney, Australia between September 27th and 30th 2018. “Please note some details are yet to be finalized but the rooms are booked, we have at least two pro teachers and we already have registrations,” report Congress organizers. 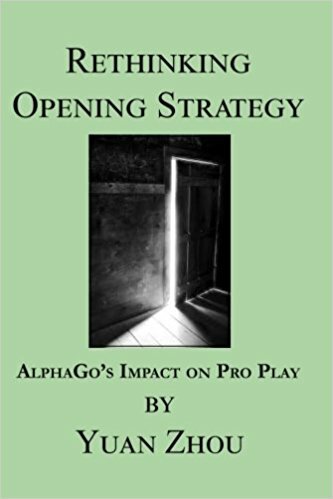 Slate & Shell has just brought out a new book by Yuan Zhou, “Rethinking Opening Strategy: The Impact of AlphaGo on Pro Play”. Zhou discusses several new moves introduced by AlphaGo that professionals are using in important games. 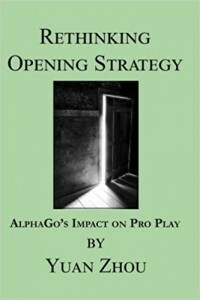 He explains the moves and several recent games where they have been used by top players.